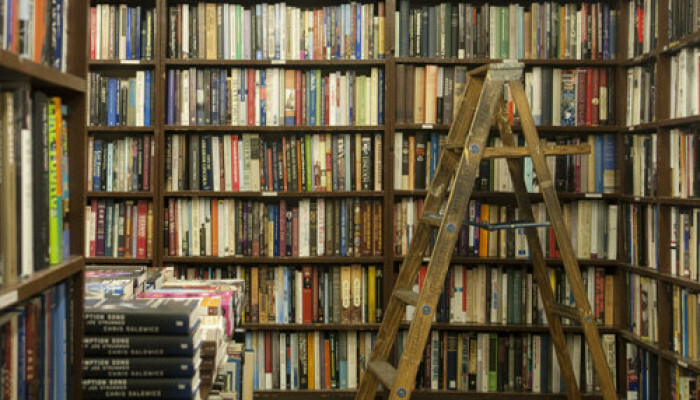 I remember wandering the aisles of a Barnes & Noble in San Diego. My wife and I were in town so she could attend a writers’ conference. Amanda, my wife, was anxious because she had written her first book and would be pitching it to prospective agents and trying to make some connections at the conference. I was killing time and not really looking for a particular book. My mind was busy wondering what the next chapter in our lives would look like. Amanda clearly had a vision for herself—whether she would be a starving writer or a successful writer, she knew deep in her soul that she wanted to write. I, on the other hand, felt lost. I didn’t have a clear idea what I wanted to do. I was only twenty-five years old and had already been a commercial fisherman in Alaska (where I grew up), owned and operated a landscaping business, achieved a business degree, obtained a captain’s license to drive ships, served active duty and reserves as an officer in the U.S. Coast Guard, and was hired as a marine logistics operator and location scout on movies and TV shows around the world. Working in TV and movies was great but grueling work and was a temporary gig—my last job had ended, and I felt lost and concerned about what my next step would be. I needed to do something that would make money because our savings would soon run out. 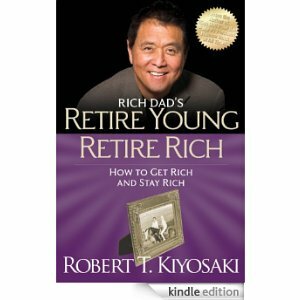 That’s when I saw a book called Retire Young, Retire Rich by Robert T. Kiyosaki. I was instantly intrigued by the title. Back when I was a teenager and running my first business (mowing lawns), I told my parents I would retire early. They laughed as they shared this information with their friends at dinner parties. Not that they didn’t believe me, they just thought it was funny to hear those words coming from a sixteen-year-old. I, of course, never knew how I would retire early, but I knew how it felt to own a business and I just believed that I would, indeed, retire young. So I took Retire Rich, Retire Young back to our hotel room. I devoured the book—it lit my soul on fire and ignited my brain with ideas about what to do with the next chapter of my life. If you are unfamiliar with Robert Kiyosaki, he is the author of the Rich Dad, Poor Dad books (I’ve read most everything his has written, I recommend them). Much of what he illustrates in his books is how to rewire your brain to think like an entrepreneur instead of an employee, and to acquire the mindset to be a successful business owner. I remember thinking: I wish I had read this book in high school, or at least in college. Not that I had made bad choices up to that point, but it would have helped me be more strategic with my decision making. The book reignited my passion for owning and operating my own business. I decided right then I would never work for anybody else again, unless I wanted to learn a specific skill from them. I knew from both running a business and being an employee that owning a business is way harder than working for someone else. An employee may have a difficult job, but eventually they clock out, go home, and don’t have to deal with work until the next morning. As a business owner, you never clock out. You are always on call. You never finish your work, because there is always more to do. The upside of being a business owner is that, if you can find a way to work smarter, outperform others, outwork others, and beat the competition with your superior service or product, you can earn unlimited income, as opposed to an employee’s set wage. Even though the core advantage of owning a business is unlimited income potential, that has never been the part that got me excited. Sure, I like to make money. But I love to compete. I love to experiment. I love to create or produce something that helps others. I love to solve problems. 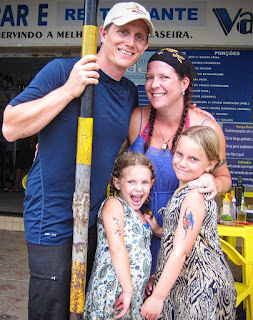 I was motivated to retire early so that I would eventually be free to choose how, when, and on what I worked. It was never about not working. So after reading Retire Rich, Retire Young, I focused on what I wanted to do next. Later that year I found myself in real estate school, and I had already flipped one house. I never had any intention of becoming a real estate agent. When I enrolled to get my license, I was focused on being a real estate investor. 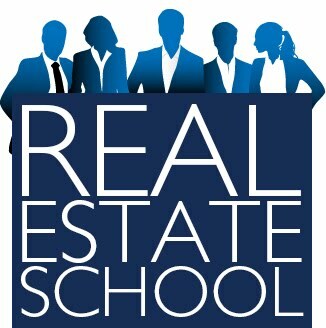 I signed up for real estate school just to gain access to the MLS, so I could work my own deals. I thought maybe I’d learn something valuable in the process. But the more the instructor talked about a career in real estate, the more excited I got about becoming an agent who helps others succeed in real estate. At the time, the real estate market was booming. I had previously worked with real estate agents, and the experience made me think: If they can do it, then I know I can. It’s funny how life changes in unexpected ways. Sitting in a classroom full of prospective agents, I couldn’t help but notice how different we all were. We all had different backgrounds and different motives for being in that class. I wondered who would be successful and who would not. The instructor told us on the final day that statistically in a room of twenty-five new agents, only four or five would remain in business after two years. This naturally caused everyone to look around and wonder who would make it. I didn’t understand yet why so few of us would make it. The job just didn’t seem that tough. I knew there was a lot of competition out there from other agents, but there was a lot of opportunity as well. I got my license and became one of four thousand agents working in my community of four hundred thousand people (Boise, Idaho). I knew only three local people at the time, and one of them was a real estate agent. I had just moved up from California, because real estate was more affordable in Idaho. I joined a national franchise brokerage, forwent all other job opportunities, and focused on my real estate career full time. I was full of optimism and hope. I figured that with my strong work ethic I could work really hard and create a great career and business as an agent. That was over ten years ago. I could fill a book with the war stories and craziness that transpired in those ten years. Some day I will. On paper, I am in no way the most successful agent in my community. Nor am I the most well known. I am certainly not the most profitable. However, I do believe I am building the strongest real estate business in my community. If you know me, you know that I am not just a real estate agent. I own my real estate office, Front Street Brokers, out of which about twenty agents operate. I’ve hosted a radio show about real estate and the local economy for the past five years. I’m in the process of finishing my second book on real estate. I have two podcasts in production right now, while also producing three magazine publications. My office is creating our own 501(c)(3) charitable organization. I have a lot going on. We all define success differently. Some agents or clients might look at all the things I do and wonder how I can be an effective real estate agent. My response is that I wouldn’t be effective if I wasn’t surrounded by the right people. With the right support, I can focus on out-marketing the competition with my real estate listings. I can afford to experiment with new ideas and bolder marketing plans, while my competitors focus on what they’ve always done. But I don’t regret it. I learned a lot from failed idea. It wasn’t a horrible idea—it just wasn’t executed correctly. These mistakes often lead to amazing successes. For instance, following the failure of the newspaper, I created a publication for real estate agents. Now I can showcase my listings to the four thousand real estate agents in my community. I have a tool to sell my listings that no other agent in the valley has. I’ve tweaked it and changed it over the years to make it more effective, and now it’s one of my best tools for selling my listings. As a real estate agent, my goal is not to be the top-producing agent in my community. However, I do desire to be the most effective one. I desire to find new ways to help people in my community. I desire to pass on what I’ve learned to as many agents as possible so they can do the same. It feels amazing to help others succeed, whether they’re my clients or fellow agents. Helping others is what fuels me. I don’t believe that will ever go away. I often wonder how different my life would be if I hadn’t picked up that book. It changed the course of my life. Without it, would I likely have continued to find interesting jobs? Yes, I think so, but I wonder if I would be in the position to help others that I’m in now. I sometimes feel like the luckiest man on the planet. I have an amazing wife and two daughters whom I cherish. I get to help people every day. I get to implement my new ideas and learn something new every day. I reinvest most of what I make back into my business, so we live fairly modestly. But I feel wealthy. Even though I work twelve hours a day, I feel like I retired early. This past summer, I passed on the “Retire Early, Retire Rich” book to a family friend who just graduated high school. I told him that he didn’t need to read it now, but if he ever felt like he was at a crossroads where he couldn’t decide what to do next, it might be time to read it. Maybe it will change his life too. How do I price a listing when the seller is in a hurry?